We are proud to offer products produced by our beekeeping apiary in San Diego. We harvest honey, propolis, beeswax and pollen from our 40+ beehives in San Diego County. We do not process any of the harvested items in order for them to maintain their nutritional value. 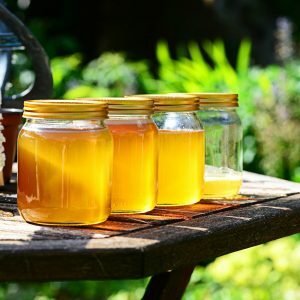 Some items may be out of stock in order for the bees to replenish the hives as we are always mindful of leaving enough honey to feed the bees.